Reduce or eliminate pesticide and herbicide use. By using fewer chemicals in and around your home you will help keep birds, pets, and your family healthy. Plant native plants. Native flora provides birds with food in the form of fruit and seeds, and is home to tasty invertebrates like bugs and spiders. Identify the non-native invasive plants in your region, and work to remove them from your yard. And don’t bring any new invasives into your backyard habitat! Invasive plants don’t provide as much good food as native varieties do, and can threaten the health of ecosystems. Attract hummingbirds with sugar water made by combining four parts hot water to one part white sugar, boiled for one or two minutes. Never use honey, artificial sweeteners, or food coloring. 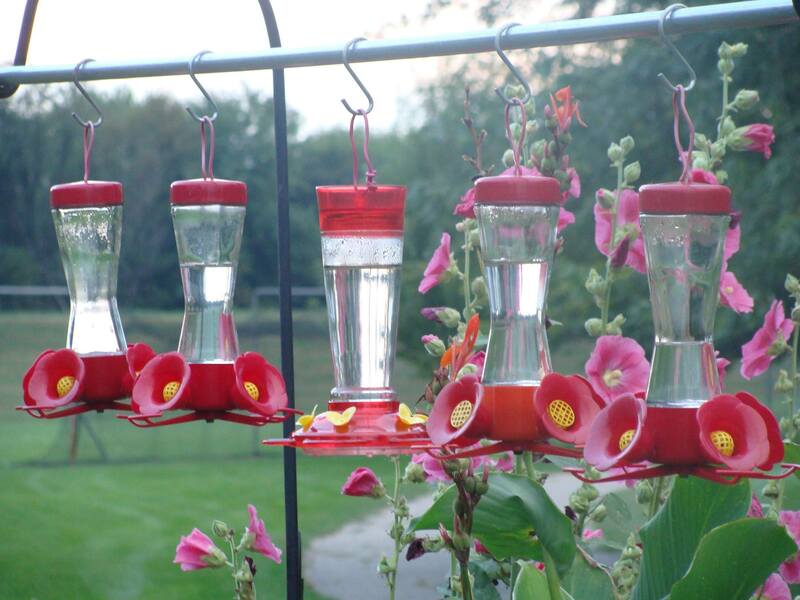 Clean hummingbird feeders with a solution of one part white vinegar to four parts water once a week. Make your windows visible to birds to prevent crashes. Put up screens, close drapes and blinds when you leave the house, or stick multiple decals on the glass (decals need to be no more than two to four inches apart to be effective).